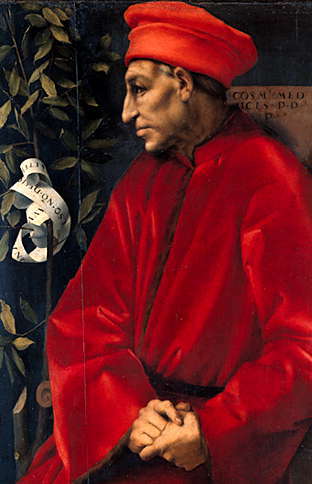 Cosimo gave this speech in 1433: it is recorded in Fabroni (Ross trans). If I thought that this my misfortune and terrible ruin might serve to bring peace to this blessed people not only would exile be acceptable but I should even welcome death, if I were sure that my descendants, Signori, might pride themselves on my having been the cause of the wished-for union of your Republic. As you have decided that I am to go to Padua, I declareth at I am content to go, and to stay wherever you command, not only in the Trevisian State, but should you send me to live amongst the Arabs, or any other people alien to our customs, I would go most willingly; and if your Lordships command me to discover the origin of the ill, as a beloved son is bound to obey his father’s wishes and a good servant the orders of his masters, o would I obey you for the peace of your people. One thing I beg of you, O Signori, that seeing you intend to preserve my life, you take care that it should not be taken by wicked citizens and thus you be put to shame. I do not so much fear the pain of death as the abominable infamy of undeserved assassination, for a violent death is the manifest sign and outcome of a bad life, and I have not led the life of a villain, but of an honest and good merchant. Even if I have not been faultless I have always tried to merit the love of good men, because my actions were good. As, however, disaster comes to me by your orders, I accept it as a boon, and as a benefit to me and to my belongings. Have a care, O Signori, that those should not have their way who are in the Piazza with arms in their hands and anxiously desire my blood, without regard for my innocence. My pain would be small, because such a death being over in a short time cannot be very painful or hard to bear; nothing is so brief as death. But you would earn perpetual infamy by having made me a promise which was broken by villainous citizens: infamy is worse than an innocent death. If I go to the Trevisian State, I leave my heart and my soul with you, and shall only be happy when I can do something for the good of your people, as I pray you and every good citizen to do. Every trouble will be easy to bear as long as I know that my adversity will bring peace and happiness to the city. I know, and this is no small comfort to me, that I never permitted wrong to be done to any one. I never frequented the Palace save when I was summoned; I never roused hatred of the Republic amongst your subalterns because I never ill- treated them; I always declined to be nominated an official, which is often prejudicial to the body and hurtful to the soul; with no small pride I affirm that none can say my ill-behaviour ever caused a city to rebel or to be taken from you; on the contrary our money bought several: ask your soldiers how many times they were paid by me for the Commune with m y own money, to be returned to me when convenient to the Commune. Never have I been found wanting when the Commune could be enlarged, and although I am exiled, I shall ever be ready at the call of this people. In conclusion, Signori, I pray God to keep you in his grace and in happiness in this fortunate Republic, and to give me patience to bear my unhappy life. On the election of the new Signory (September 1433) it was rumoured that during their rule great changes were to be made. News was sent to me in the Mugello, where I had been for some months in order to escape from the contests and divisions in the city, that my presence was necessary. So on the 4th of September I returned, and on the same day visited the Gonfalonier and the others, as well as Giovanni dello Scelto who I thought was my friend, and who was under obligations to me, as were also the others. When I told them what I had heard, they denied it, and told me to be of good cheer, as they hoped to leave the city in the same condition as they found it when their time was up. On the 5th they called a council of eight citizens, saying they desired their advice on certain matters. They were Messer Giovanni Guicciardini, Bartolommeo Ridolfi, Ridolfo Peruzzi, Tommaso di Lapo Corsi, Messer Agnolo Acciaioli, Giovanni di Messer Rinaldo Gian-figliazzi, MesseRinaldo degli A1bizzi, and myself Cosimo. So although as has been said, it was reported that a revolution was imminent yet, having their assurances and believing them to be my friends I did not credit it. On the morning of the 7th, under colour of the said council they sent for me; and when I arrived at the Palace I found most of my companions and we talked together. After sometime I was told by order of the Signory to go upstairs and by the captain of the infantry I was put into a room called the Barbaria, and locked in. On hearing this the whole city rose. During the day a council was held by the citizens who had been summoned and the Gonfalonier told them I had been detained for a good reason which would be explained another time, and that the Signory desired no advice on this point, and so dismissed them. And the Signori banished me to Padua for a year. This decision was at once made known to my brother Lorenzo, who was in the Mugello, and to Averardo, my cousin, who was at Pisa. 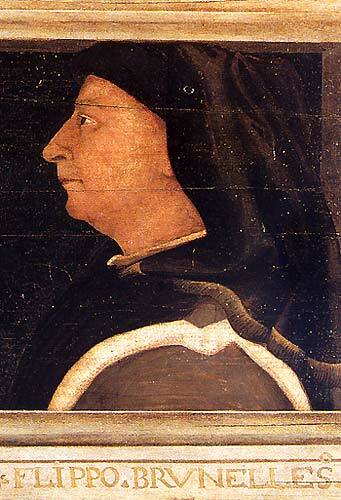 The news was also sent to Niccolo da Tolentino, captain of the Commune, who was my good friend. 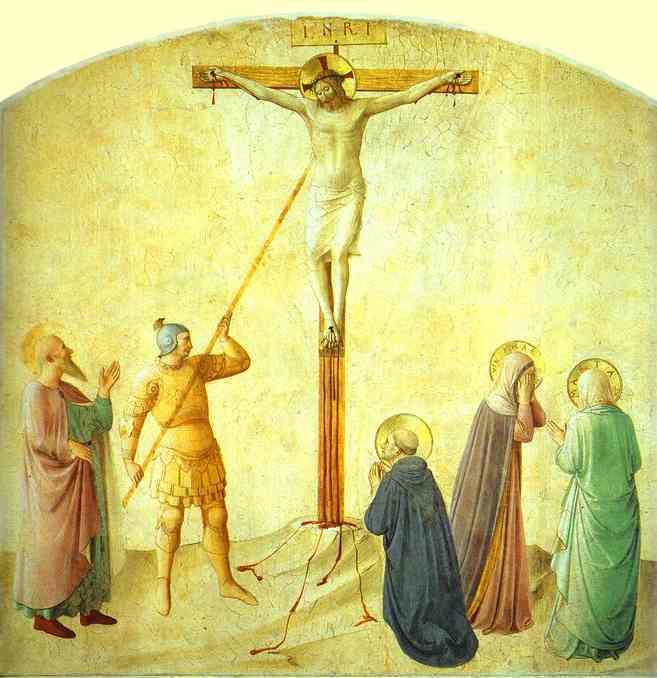 Lorenzo came to Florence that same day, and the Signori sent for him, but he being warned why they wanted him, left at once and returned to Trebbio. Averardo also left Pisa in haste, as they had given orders to seize him. Had they taken us all three, we should have been in an evil plight. 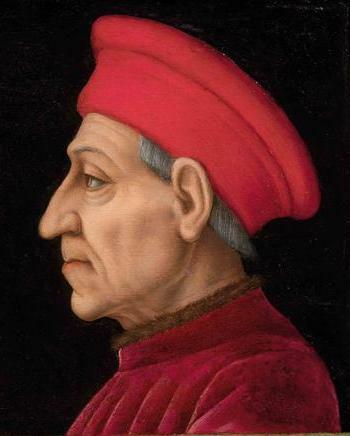 Niccolo da Tolentino on hearing the news came to Lastra with his company in tending to raise the city, so that I might be released. At the same time, when it was known in the mountains of the Romagna and in other places, great numbers of foot-soldiers went to Lorenzo. But the captain and Lorenzo were advised not to make a disturbance, or evil might befall me so they desisted. Although this advice was given by relations and friends and in all sincerity yet it was not good for had they advanced at once I should have been free, and he who was the cause of all would have been undone. We may, however, say that all was for the best, as in the end good came of it, and more honour to me, as I shall relate hereafter. My friends being averse as I have said to create any disturbance the captain returned to his quarters pretending that he had come for another reason, and Lorenzo went to Venice with my sons taking with him all he could of money and small valuables. And the Signory banished Lorenzo to Venice for a year, myself to Padua for five years, and Averardo to Naples for five years. Then on the 9th the bell was rung for a parliament, and those who had been the cause of all assembled on the Piazza with much infantry. Twenty-three citizens were also summoned verily a small number, and but few of the people were present, because in truth the mass of the citizens were ill-pleased.